We all need a good night's quality and restorative sleep, it is essential to help our mind to do, it's housework and process the information that has gone on during the day. It is also vital to help repair and restore our energy and relax the body, so we can feel alert and start the new day feeling refreshed and full of energy and zest. But due to all the stresses, problems and strains of modern day living, combined with our busy lifestyles and hectic schedules, most people seem to be getting a lack of good quality sleep and they are finding increasingly hard to relax and switch off. To fall asleep naturally at night, you need to relax, wind down and switch off, but due to modern technology, most people are doing the opposite to what they should be doing at night, and they are stimulating their mind and body late at night. Your body is programmed to slow and wind down at night to prepare itself to go to sleep, so if you do things to disturb this natural sleep induction process, then you will be fighting against your natural sleep process. Other things that may disturb the sleep process and keep you up longer than you should can be, checking your emails, using computer or mobile, going on social media, watching action packed films, playing computer games or staying up to late to watch a bit more TV. Caffeine, nicotine and alcohol are all stimulants, therefore if you smoke or drink caffeine, make sure you have your last cigarette, or cup of coffee is about three hours before bed. Does it take you a long time for you to fall asleep? When you wake up in the middle of the night, do you find it hard to fall back to sleep? Has the lack of sleep affected how you feel, your energy levels and your productivity? If you answered yes to any of the above questions above, then there is a very good chance that you could be suffering from sleep insomnia. If you answered yes to any of the above questions above, then there is a very good chance that you could be suffering from sleep insomnia or some sleep problems that you need to address. It is not just about how much sleep you get each night, what is equally as important is, the quality of your sleep. According to the latest scientific research and findings, studies have revealed that a lack of sleep can be bad for our health leading to a whole host of conditions including, heart disease, obesity and mental impairment to name a few. The scientists were led by sleep expert Professor Derk-Jan Dijk, from the University of Surrey, who described sleep as a ‘pillar of health’ - just like diet and exercise. The study alarmingly discovered that sleep deprivation had an impact on more than 700 genes and among the genes that were affected were the ones linked to the body clock, the immune system, the metabolism and the bodies stress responses. The people who were involved in the test were subjected to a whole week of sleeping less than 6 hours a night and what they discovered was it was not adequate or long enough to maintain mental alertness or performance. Even a lack of sleep for a short term of a week can soon start to have a negative effect on memory, concentration and mental alertness. So if you are currently experiencing having trouble getting to sleep then for your mental and health benefits it is something that you need to address as soon as possible. Many other studies have also been conducted about the risks of a shortage of sleep and they have reported the same health related problems and mental concentration and faculty reductions. This indicates that there are many important health and other reasons why you need to retrain yourself to fall asleep and to remain asleep. Having said that, you should not worry or start to obsess about not getting enough sleep, otherwise that will make it even harder to get to sleep. A better approach would be, learn how to relax and switch off at night as well as getting into a habit of sticking to a routine and time so you get enough sleep that is right for you as much as possible. If you have been struggling to fall asleep and then stay a asleep, then do not worry because, there are many things that you can do that will quickly help you to get some good quality and restorative sleep. With a few changes and adjustments, you will soon be falling asleep easier, you will stay asleep throughout the night, leaving you waking up feeling refreshed and energized, and even if you have to get up to go to the toilet or any other reason, you will be able to quickly doze back off to sleep. The good news is, there is nothing to learn, because you already know how to instinctively fall asleep, and probably the only reason that you're struggling to get some decent quality of sleep, is because you are disrupting your natural sleep process, rhythms and patterns. There are many natural herbal remedies available and tips that can help you to sleep better, however, unless you address the underlying root cause of your lack of sleep then the chances are they might not be of any benefit. If you go to bed feeling stressed, anxious or worried not only will you have trouble dropping off to sleep, you will also increase your chances of getting poor quality sleep, and your mood on falling to sleep will be carried with you during your sleeping hours and you will have a greater chance of waking up in the same mood as you went to sleep. When we are feeling relaxed and free of stress and tension, then in general, we will sleep well, which should reduce the chances of us, grinding our teeth, tossing and turn, snoring and experiencing bad dreams or nightmares, which can all be an indication that something needs addressing. Each night is an opportunity to leave behind our emotional baggage of the day and a chance to start the day with a clean sheet, a healthy body and a clear mind. Unfortunately, most people go to bed feeling stressed or worried, and they carry their troubles and emotional baggage through to the next day and this pattern continues day after day. Falling to sleep should be a process that happens naturally and effortlessly and it is not a thing that you can force or make it happen, in fact, the harder you try to get to sleep and the more you obsess about it, the harder it will be for you to get to sleep. It is better to actually lie in bed and try to stay awake, than it is to try or think about getting to sleep, because the more you try, the more frustrated and alert you will become which will interfere with your natural sleep induction process. Can you remember when you were a young child, you did not try to get to sleep and you did not ever think about trying to sleep, or not being able to go to sleep, you just got out of the way, went into a daydream state, and you let it happen naturally. If you do have one bad night's sleep, or you have a night or two where you can't get to sleep, then try to forget about it, because you don't want the momentum of not getting to sleep to turn into a bad habit and become a regular nightly pattern of struggling to get to sleep. At times, we all struggle to sleep and we are left feeling wide awake, when we'd rather be fast asleep, if it only happens now and again, we can cope with this. But it can only take several nights of poor sleep to leave us feeling fatigued, irritable, in a low mood and unable to focus and concentrate. Try not to think or use words such as, I can't fall asleep, I must fall asleep or I have to stop worrying and thinking. If you're lying in bed wide awake, do not get frustrated and restless, do not clock watch or count how many hours you have left to sleep as this will just make you more anxious and obsessed about not being able to sleep, also try to avoid tossing and turning. The worst thing that you can do, is try to force yourself to get to sleep, because you cannot force or make ourselves fall asleep. The sleep process is not your job and it requires you to do nothing, except learning how to relax, you do not even have to try to stop thinking or quieten your mind. The key is to switch off and relax, and all of the above will work against you, rather than focussing on not sleeping, it is better to just daydream or visualize or think about something pleasant and none negative emotional or simply switch off and do nothing and just let it happen. When we fall asleep naturally, we automatically shift into a dream like state, so by thinking about or imagining anything neutral or general that does not activate negative or stressful emotional arousal, we will be mimicking the natural sleep induction process. So you do not have to try and stop thinking, all you have to do is, think or imagine anything that does not trigger emotional arousal, such as worrying or thinking about your problems (including trying to sleep) or anything stressful. Because by doing that will keep you in a heightened alert and fearful state, which is the exact opposite to the relaxed and peaceful state required for sleep. Following a healthy lifestyle is an important role in preparing yourself for a good quality restorative sleep, so you adapt a daytime routine that will help you to promote a good night's sleep. Preparations for a better night's sleep should start the night before and should continue on awakening. This should involve learning to relax deeply at bedtime so you can switch your emotional and physical state to a state of calm and balance. They stressed the importance of exercising or keeping active during the day, so you use up all that excess energy that might normally leave you feeling restless and hyperactive at night. Your exercises and fitness activities and workouts should ideally be done during the day or early evening, try not to workout a few hours before bedtime as it can leave you feeling wide awake and alert. Getting enough sunlight or daylight during the day is also believed to help promote good sleeping patterns, however, this is not always possible during those dark and cold winter months. Sometimes when we are feeling tired during the day or early evening, it can be easy to grab a short nap or sleep, and although, having a quick ten minute power nap can give us a much welcome boost, taking over twenty minutes sleep in the day, can upset your nighttime natural sleep rhythms. Nutrition is also a key ingredient for good of sleep hygiene. Experts suggest that foods high in an amino acid called tryptophan all promote melatonin, which can help to regulate your sleep patterns. Although a good healthy balanced diet is recommended, try to avoid eating a few hours before bedtime, because sleep time is to help your body rest and restore, therefore it should not be digesting late night snacks. Try and keep your room at a nice comfortable temperature, not too hot, but not too cold. Try and make yourself as comfortable as possible, use a memory foam pillar. It is also recommended to sleep on a quite firm mattress, with a memory foam topping. Sleep either on your side or your back and if you live in a noisy neighbourhood, it can help to use foam earplugs. If you still haven't dropped off to sleep, surrender to it and just accept the fact it’s late and you won’t be having adequate enough sleep tonight, but it's no big problem, the chances are soon after you give up, you will find yourself falling to sleep. If you do try everything that has been recommended and you're still not getting enough sleep, it may be worth a visit to see your Doctor. 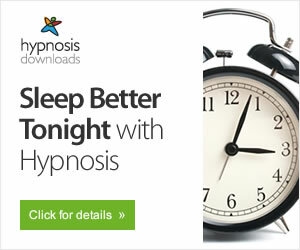 There is an easy, relaxing and natural way to train yourself to get to sleep,which simply involves listening to specially formatted brain entrainment recordings which are designed to mimic your natural sleep induction brainwave frequencies. If you're interested in using the latest technology that will soon have you falling to sleep easily, effortlessly and naturally so you reset your natural sleep patterns then you might be interested in visiting the link below.